October 25th 2012. We officially dedicated the kennels with the beautiful brass plaques today. 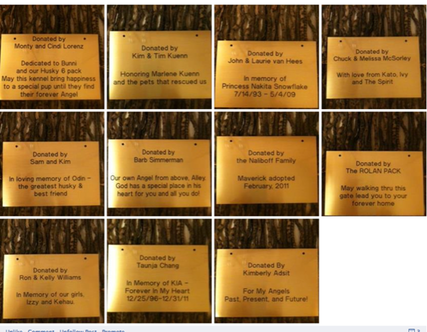 Each kennel donated received a plaque, engraved with the inscription requested by each donor. Not only do we need to thank the 11 people that bought our first kennels for us we also need to acknowledge smartsign.com for donating and engraving the plaques for us. And to our ‘plaque pack’ our heart felt thanks. 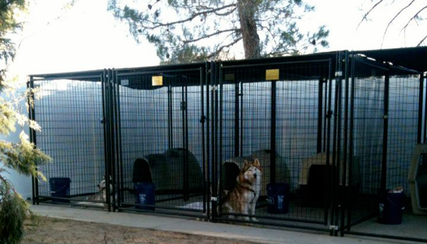 Many rescued huskies will begin a new journey as they await their forever homes in the safety of the kennels that you have provided.